Eric Owens was also the host for the Metropolitan Opera HD presentation of Mozart's opera seria Idomeneo, composed when Mozart was only 24. It is very much in the traditional Neapolitan style of endless da capo arias. Idomeneo has sworn to Neptune that if he lives through a storm at sea, he will sacrifice the first person he sees on the shore to him. He lives. He walks down the stage already lamenting the death to come when his son Idamante approaches him. The plot has the best possible ending. Idomeneo does not kill his son but instead cedes his kingdom to him. Opera seria usually has happy endings. It was as long as Tristan and did not start early. A lovely film of a much younger James Levine coaching Jessye Norman and Kathleen Battle in Ariadne auf Naxos was inserted between acts II and III. I miss them. It was nice to see them, but this added to the length of the performance. The camera showed Levine conducting the Mozart overture today, and I thought his movements looked much better than the last time I saw him. This didn't help the draggy tempos. There needed to be cuts. By the third act it all began to seem tedious. I think we are in a period where people refuse to cut anything. People have jumped on Elza van den Heever for her manic performance, but I found her refreshing and the highlight of the program. I always love Nadine Sierra, and she was outstanding here. There were three tenors, but none of them were in the Mozart tenor tradition. We had big singing and intense drama from all of them, especially our hero Matthew Polenzani. Perhaps Alan Opie is considered a baritone, but this role was on the high side. The only disappointment was Alice Coote who seemed out of sorts. She was the Norma for her time. I posted this because it is the model for Casta Diva even for Callas. It is a level of quality in phrasing that is seldom heard today. 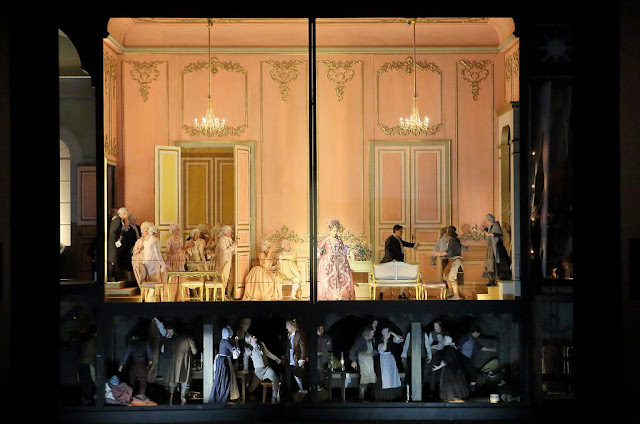 They layered every nuance for us to see at the Bayerische Staatsoper for Giordano's Andrea Chénier. Above is how we generally viewed the sets. Below is closer to what the audience saw. The production made frequent use of split pictures. In the opening party scene we see the household staff laboring below stairs while the party goes on upstairs. When the revolutionaries arrive, we see people from the below stairs staff among them. When Andrea and Maddalena are preparing to die, we see the guillotine just above them. The last thing shown is the blade falling. In the task of explaining the action this production was excellent. This is a play about patriotism and class resentment. It started to sound familiar. The central character is actually Carlo Gérard who tries to stand on both sides of the conflict. He is for the revolution and overthrowing the aristocracy, but he also loves the family he served. He is the truly honorable but conflicted man. Each speaks of how he loves his country. The artistry of the performers set fire to this opera. It is an opera about one of the most violent periods in western history. But somehow before today it has never had a sufficient effect. From "La mamma morta" to "Vicino a te" it blazed to ever more emotional intensity. 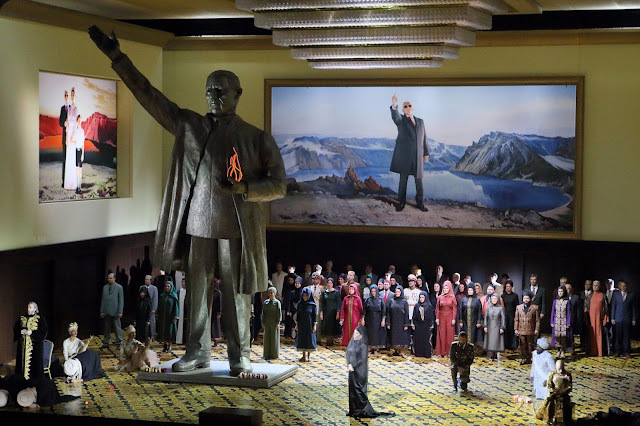 Opera should set fire to your heart, and this one did. Bravi. This is familiar to me from Cecilia Bartoli's recording. These were all pleasing if not very exciting. I think I liked best the Debussy. After the intermission they performed the POULENC: La Voix humaine I would describe it as fully staged. We can tell from the projection shown above that we are in Paris. This opera is based on a play by Jean Cocteau. The liner notes say that Ms Antonacci based her interpretation on a film starring Ingrid Bergman. This woman is complicated and desperate. She begins with lies, pretends to have been away visiting a friend. Then she admits that she has been to the hospital after attempting suicide. The only thing hard to grasp is why he is calling her. He is lying too, pretending to be at home when he is out at a club, probably with his new girl friend. Anna Catarina is a wonderful singing actress. Grazie mille. This was a marvelous tour de force. Instead of going to the HD of La Traviata, I went to a party where the film of Puccini's La Bohème from Salzburg in 2012 was shown projected on the wall. I liked very much seeing the faces up close. Mimi isn't lighting her candle, she is lighting her cigarette. The production is supposed to make you think of Paris. There are many reminders. I love this wonderful cast and enjoyed seeing it again. 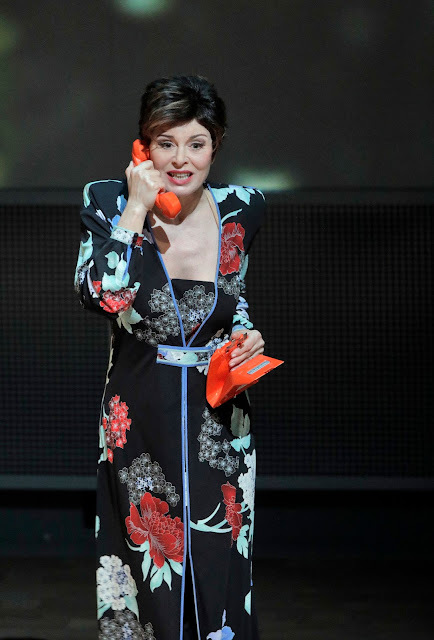 I have only enjoyed the Traviata red dress production when it was done with Netrebko. Perhaps I will watch my DVD. Kurt Moll has died. He was my Favorite Ochs. The Sacramento Philharmonic performed Beethoven's Fourth Symphony in the first half and his Violin Concerto after the intermission. Our guest conductor was Michelle Merrill, the first female conductor we have had. She dressed all in black. 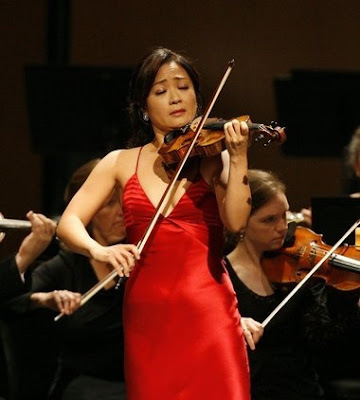 The treat of the concert was the wonderful violinist Chee-Yun, called Chee-Yun Kim in our program. She is from South Korea and was wonderful to hear. Our soloist played an encore of a very fancy solo violin arrangement of the Beatles' "Yesterday." The role of Semiramide in Rossini's opera Semiramide is usually sung by the same people who sing Lucia, people like Montserrat Caballé, Joan Sutherland, June Anderson, etc. It was, however, composed for Isabella Colbran who is generally considered a mezzo-soprano. (Elisabetta, regina d'Inghilterra, Otello, ossia Il Moro di Venezia, Armida, Mosè in Egitto, Ricciardo e Zoraide, Ermione, La donna del lago, Maometto II, Zelmira, and Semiramide are the operas written for Colbran.) After her success in La donna del lago, Joyce DiDonato clearly wanted to try her hand at another Colbran role. I experienced a lot of technical difficulties with this stream from the Bayerische Staatsoper and finally ended up listening on my iPhone, not an ideal medium for watching an opera. 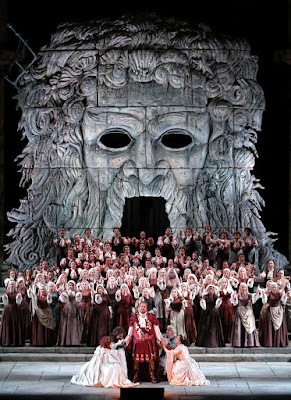 The cast for this opera was simply spectacular. DiDonato and Barcellona sing beautifully together. It is one of the great bel canto operas with an endless stream of gorgeous music. It may well be considered Rossini's masterpiece. 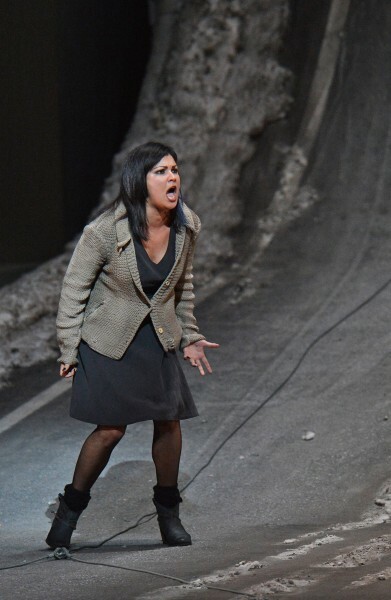 As with most of the streams from the Bayerische Staatsoper, this performance will probably disappear forever. This makes me sad. Pinchas Zukerman played at our local college. We were lucky to get him. I asked "What's he going to play?" 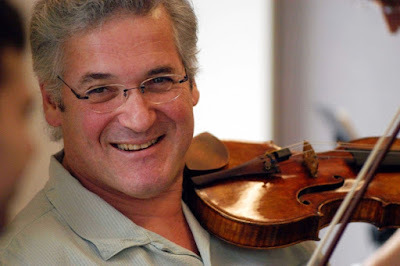 The answer was, of course, violin sonatas. This included a piece by Brahms called "Sonatensatz," which means movement from a sonata, a postumous composition. I explained to the people sitting with me that Satz is German for sentence and is what they call a movement. So why do we call it a movement? I will communicate your sympathy. I enjoyed the Brahms most. I generally do. 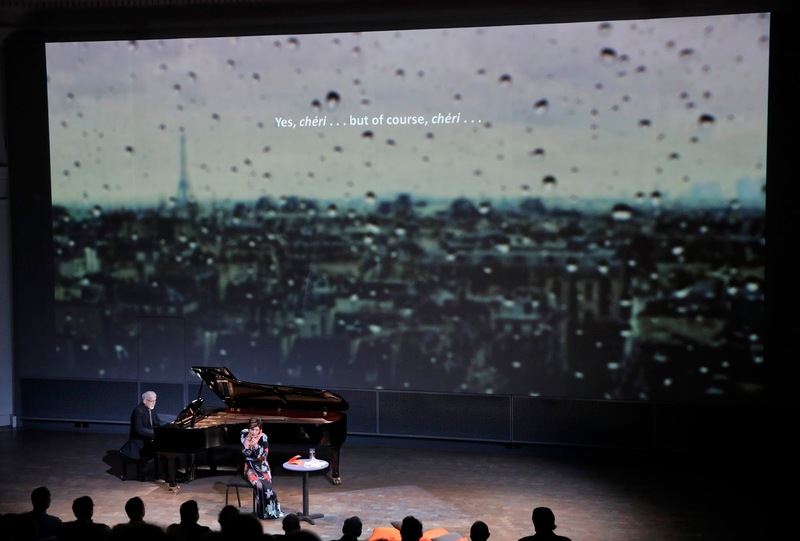 As an encore, he played a short romantic piece by a female composer named Maria Teresa.... I should have written it down.